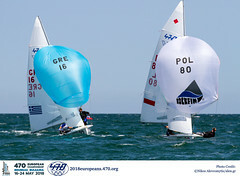 The International 470 Class Association is delighted to announce the winners of the 2009 OSPG Programme. 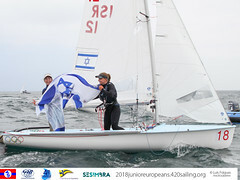 In order to help the 470 sailors from countries where Olympic sailing is less active, and support them to take part in the 2009 Worlds, we have set up a specific grant which will provide to the selected sailors the chance to have support towards their Olympic Campaign and helping them to go to the most important regattas. All the crews that entered the ISP were automatically taken into consideration for the OSPG. The only condition was that the crews enter the World Championship in Denmark. A panel composed by Fernanda Sesto and Iulia Negoescu decided that the winners of 2009 OSPG are two women crews one from Hong Kong and the other from Estonia. As we have a growing 470 class in Hong Kong, with many teams that have entered our programmes already, we have chosen one of the most successful and internationally active of them, composed by Catherine Jing Yi Carroll and Chi Han Yau. The other winners are the sisters Marjalissa and Elise Umb from Estonia a young ambitious team, that just finished 13 over the europeans in Traunsee and are trying to build up a campaign for 2012. 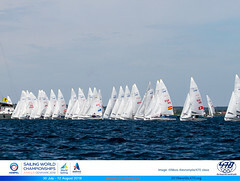 Each crew have won 1.000 euros, having their entry fees covered by the International 470 Class Association as well. We wish them to have a wonderful regatta, and good luck in their Olympic Campaign.